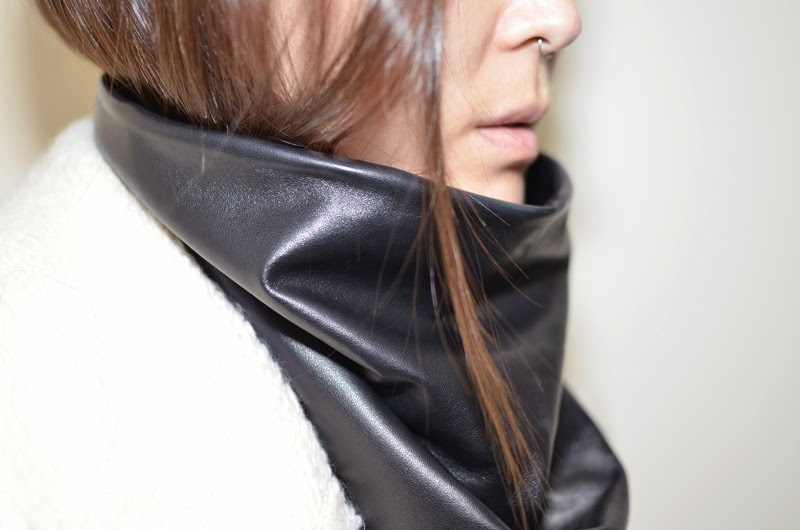 My dear friend Gennie, of Maison des Rêveries, saved me from certain hypothermia last time I was in NY, with one of her insane leather scarves. It's the best (and certainly coolest) scarf I've ever owned and I've been trying to wear it any time there has been even the slightest chill. My favorite part is the magnetic closure. Would be a shame to ruin the fluid design with a button snap or hook/eye situation. If there's one necessary winter accessory that falls into the badass category, this is it. You can get them in time for the holidays here. That scarf is so slick and totally you. Love it. oh girll.. so tromp l'oeil and margielic!!LOVE! You such a badass yo. 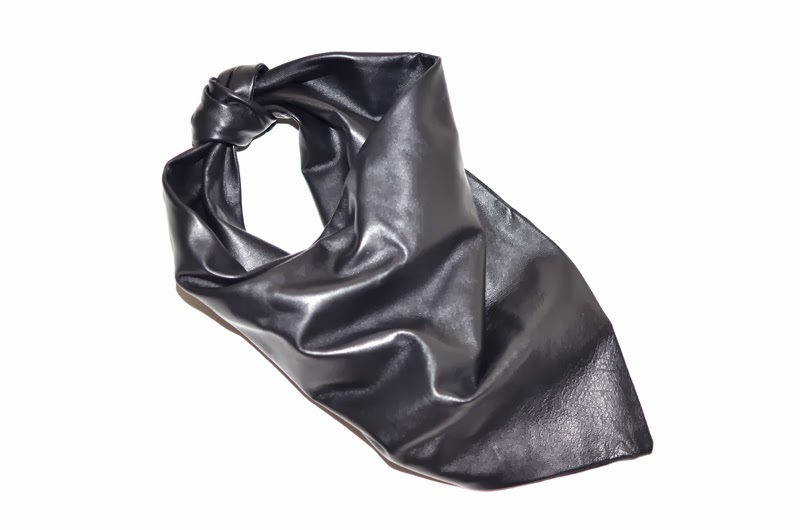 this is such a cool leather scarf - I'd never seen anything like that before!